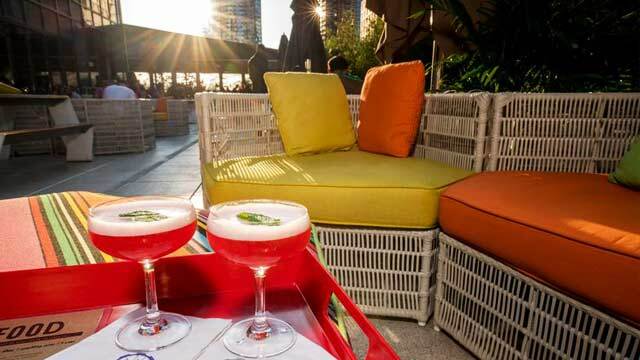 The roof terrace at Yotel rooftop bar, or Social Drink and Food as it's called nowadays, is decorated in a 1960's style, with rainbow colored circle chairs, lounge sofas and exotic dragon trees. 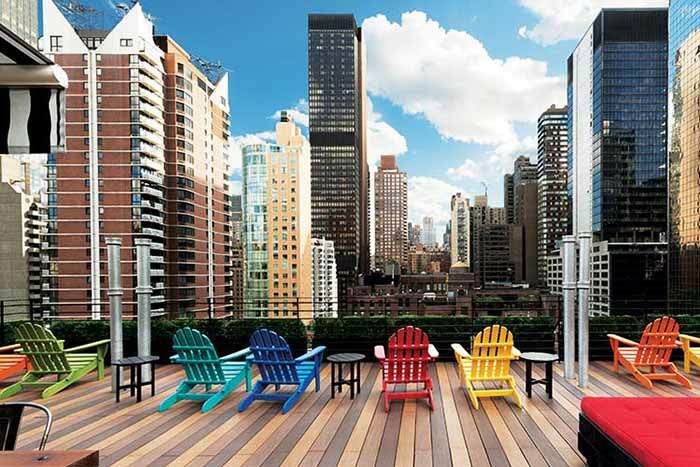 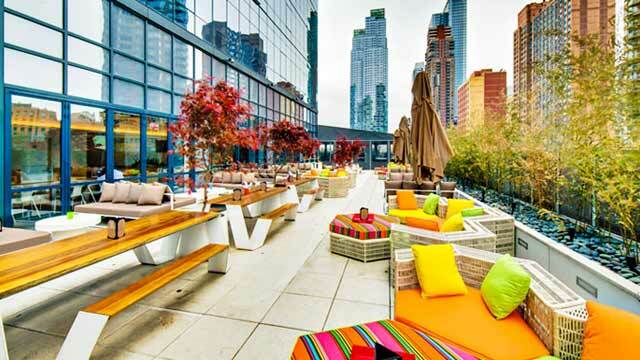 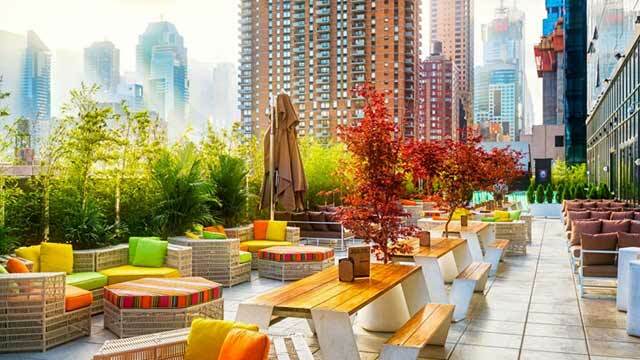 This is New York's largest hotel terrace with space for about 400 guests. 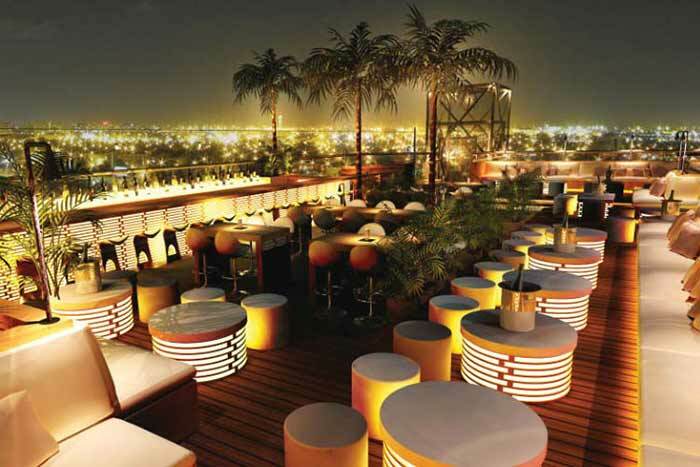 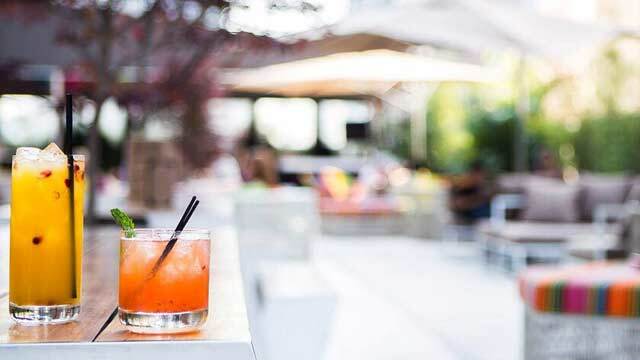 The rooftop bar offers a relaxing, fun and comfortable atmosphere along with Mediterranean influenced street food and seasonal well crafted cocktails, like 'El Tapatio', made of tequila, jalapeño, cilantro and fresh lime juice. 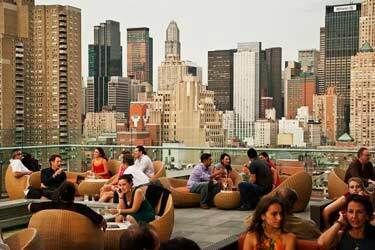 There is also a Happy Hour every day between 3-5pm where you can get a pizza & beer on tap for $10. 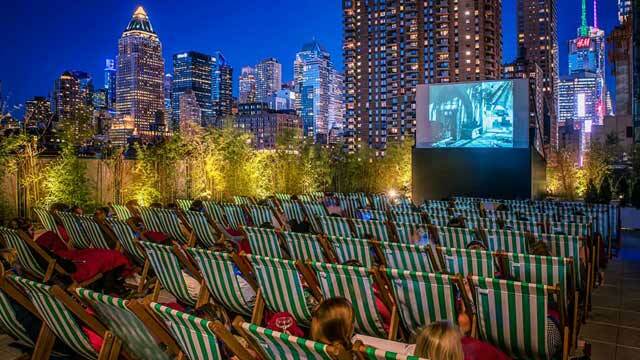 Come Sunday part of the rooftop terrace is transformed into a rooftop cinema, where you can enjoy dinner and a movie under the stars. 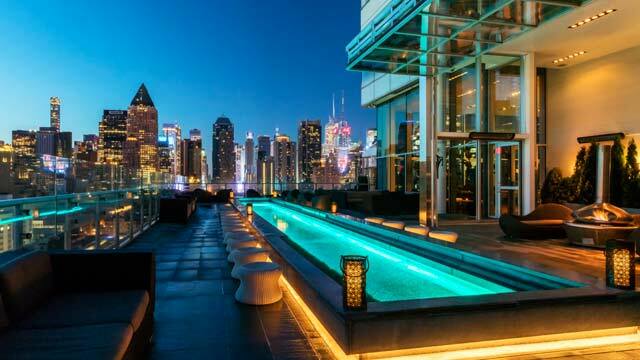 Perfect to enjoy both the skyline views and a good movie. 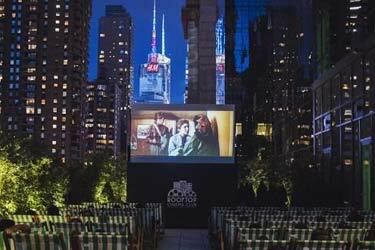 You can find a full article about rooftop cinema in NYC here. 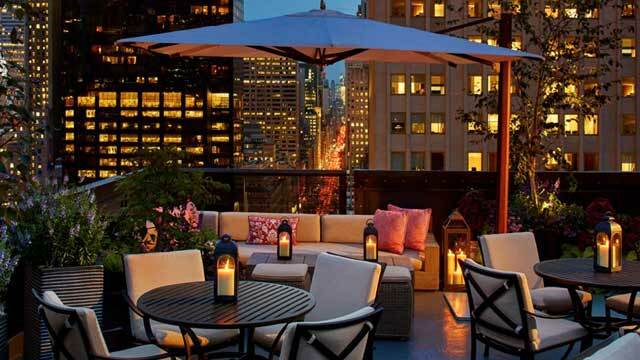 The terrace is only located on the 4th floor, but still offers a great view over Times Square and the surrounding skyscrapers. 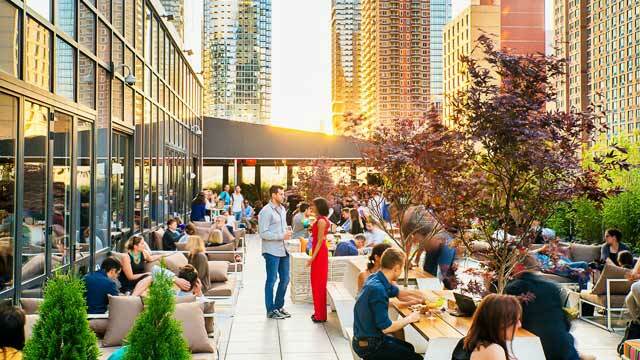 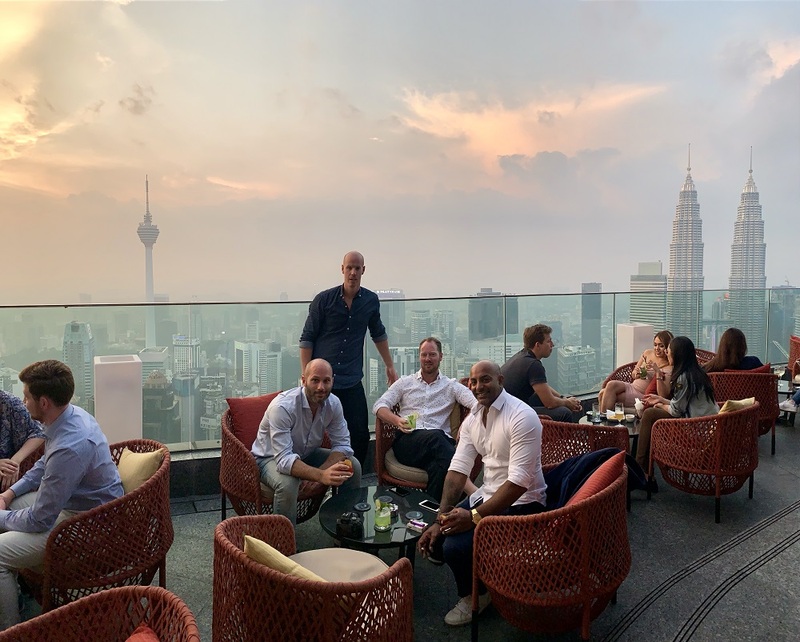 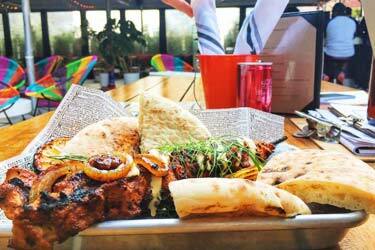 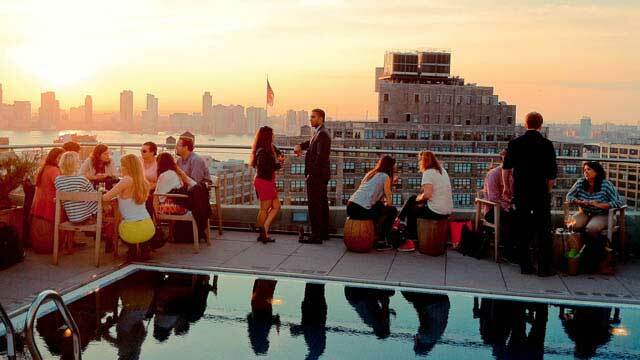 All in all The Social Drink and Food NYC is a great rooftop to just relax with some close ones, surrounded by a diverse crowd in a vibrant and comfortable atmosphere. 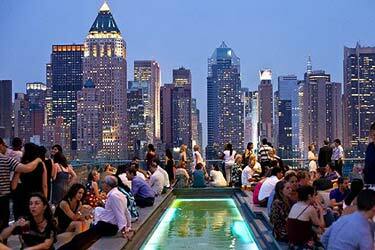 Works on a first come, first served basis, so just come on up, but try to be in good time.